Under the 'Enable high quality image downscaling' option, it would be great to have a choice of higher quality downscaling algorithms for when you are more concerned with quality than speed. Currently, even with the option checked, full screen and other reductions are still fairly jagged. FastStone has the option of using Lanczos3, which gives superb results. Filtering options are constrained by what's available on the GPU and the result depends in part on your graphic card. The result is not that bad if the card supports multisampling. 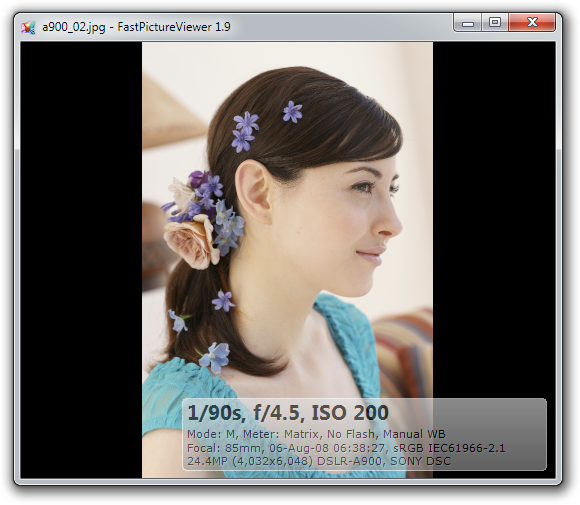 Also, FastPictureViewer is is optimized for speed and there is no faster zooming-in and zooming-out than the instantaneous performance offered by FPV in GPU-accelerated mode. Some applications offers different filtering options, some providing better results in general, but are also considerably slower with those options enabled. Below is a screenshot showing a highly reduced 24MP image (from a Sony A900) and I fail to see any unacceptable jaggies that makes the displayed result unsuitable for its intended purpose but, that said, be assured that I keep an eye on what's possible in GPU-accelerated viewing and I'd not mind offering even better results when possible The card used below was a GeForce GTX 460 with 1GB, not entry-level but not high-end either, which supports multisampling. Thanks for the quick reply Axel. Your samples look fine thanks. I'm running the 64-bit version of FPV on a fast PC running Win7 64-bit. My graphics card is a 2GB Radeon HD 6950, which by default runs mutisampling, but has the option of adaptive multisampling or supersampling. I was running on system defaults in the AMD Catalyst Controller (in the latest 13.9 drivers). I had a quick play adding an application profile, and changing some settings, but couldn't see a significant difference (I quit FPV each time). You don't need to re-boot the PC between changes in the AMD Catalyst Controller do you? In FPV Options, I have 'Enable GPU', and 'Enable high quality downscaling' checked. I made a screen dump to show the jaggies, but it wouldn't upload as an attachment, and it doesn't look like I can paste it. I will host it somewhere if necessary, but of course that often messes with the original. I appreciate that your main thrust is for speed, which is superb, but I don't shoot large numbers of images, and am after quality over speed most of the time. I reckon FPV isn't performing as designed on my system for some reason. Any suggestions? You can always send the sample by email to support@fastpictureviewer.com! With the options you selected, FastPictureViewer queries the adapter for its multisampling abilities and uses the higest quality level available. The program does not say what settings it used but it will write two new values to the registry in the next build, D3DDeviceMultiSampleType and D3DDeviceMultiSampleQuality, which may help understand the issue better. Other than that, the program uses linear texture filtering which is available on all adapters. When combined with multisampling you get the above result, which I call at least acceptable taking into account that the scaling is instantaneous. In the future I plan to use a more potent multi-pass rescaler implemented in HLSL but this will only work on Windows 8.x as there will be dependencies on components that are only available on this platform. Thanks for your email exchange (pasted in italic below). I turned off 'Enable GPU hardware acceleration', and it was fine, so as you say, multisampling isn't working. It's been like that for a few versions of Catalyst drivers. I should have tried that before, but assumed my modern, fast card would work. I could try it without the Catalyst drivers, just running MS default ones, but would rather not (I'm not sure that they wouldn't be older Catalyst drivers anyway?). With 'Enable GPU hardware acceleration' ON, it comes up with the same values, which seems odd. I have no plans to 'upgrade' to Win8 at present, like many others I suspect. Very grainy indeed, lokks like multisampling is not working. Have tou tried an older display driver for your card? Other than the driver we have no idea. As we wrote in the forum the bext build (321) will write a little more diagnortic info regarding the Direct3D device in use into the registry. You’ll be able to look and see how many samples and what quality level were found to be usable with your driver/card. Please find a couple of screen dumps showing the jaggies. One is a reduced size window, the other full screen from my NEC PA241W monitor @ 1920x1200. I run a dual monitor set-up, but don't run FPV on the other one. 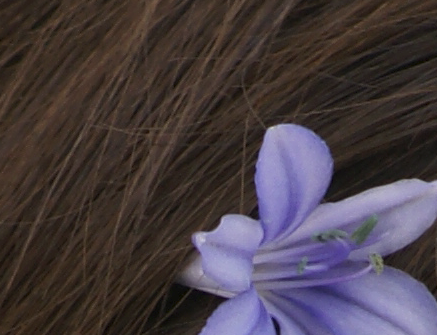 Let me know if you want me to try anything else, and if this is the quality you would expect. Yes the driver seems to report that the harware supports 8-samples multisampling and 3 quality levels (0, 1 and 2) and FPV initialized the device with the reported parameters. You should perhaps try to find an older driver, or try the stock driver as you suggested. I tried the stock drivers by uninstalling the Catalyst drivers. FPV ran fine with GPU hardware off, but I then tried enabling it, quit, and tried running again, but it wouldn't open. I then tried going back to the old Catalyst driver 12.4, but it was generally unstable, coming up with installation errors. I'm now back on 13.9, which improves another ongoing problem I have with my NEC main monitor not waking from sleep sometimes. FPV speed is fine for me with GPU hardware acceleration off, as it is a fast PC generally, but I will check periodically to see if it runs with new builds and new Catalyst drivers.